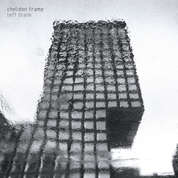 Chelidon Frame are a solo project from Italy and on this recording plays a mixture of experimental, drone and noise and this is a review of his self released 2018 album "Left Blank". Stringed instruments along with some ambient soundscapes and drones start off the album while the music gets very experimental and avant garde at times along with a great amount of field recordings as well as some of the tracks also mixing in elements of noise and most of the music is instrumental. Some of the tracks are very long and epic in length while some tracks also utilize homemade musical instruments which also gives the music more of a tribal and ritualistic feeling at times along with some songs capturing the atmosphere of a classic sci-fi movie as well as some tracks also bringing in guitars and as the album progresses synths can also be heard in certain sections of the recording and a later track also introduces radio noises into the music and spoken word samples are added onto the closing. On this recording Chelidon Frame takes experimental, drone, noise and ambient and mixes them together to create something very different and original and the production sounds very dark. In my opinion this is another great sounding from Chelidon Frame and if you are a fan of experimental, drone, ambient and noise, you should check out this album. RECOMMENDED TRACKS INCLUDE "Left Blank" "Pluto's Moons Are in Absolute Chaos-II Kerberos" "High Rise" and "Low Rise". 8 out of 10.